Sometimes we get queries that relate to litter box problems. There are reasons that your cats’ litter training goes down the toilet and 90% of the time it is behavioural or environmental. We look at the ‘trouble with toileting’ in this article. Thank you to Jacqueline Ludick of Muggleborns Sphynx for allowing us to publish her enlightening article. Your cat’s litter box problems may not be your favourite subject, but it’s one you’re likely to be more than familiar with. Still, do you know why your pet might like to do her business in strange places? Our expert gets to the bottom of some perplexing litter box problems. Your cat’s toilet habits can be confusing, and might even cause quite a stink (both figuratively and literally). 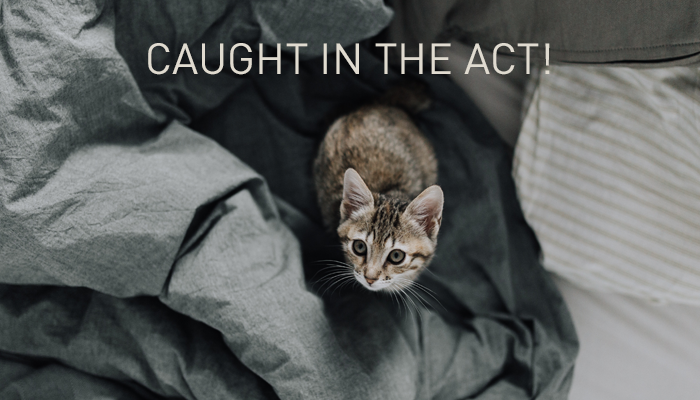 Some cats insist on leaving ‘gifts’ for their owners, often in unwelcome spots, while others may suddenly stop burying their faeces and a certain few need the utmost privacy to go at all. There are many reasons why this type of behaviour could be going on, explains Huw Stacey, a veterinary behaviourist and director of clinical services at Vets4Pets. ‘Some cats are really pernickety. It could be that the litter tray isn’t clean enough for them, or it might be that they don’t like the litter – or even the tray itself. What’s going on outside the house can also lead to accidents within it. A recent study that followed cats via miniature cameras and GPS trackers, discovered that they intentionally foul neighbouring gardens to mark the edge of what they consider to be their territory. While cleaning up and examining your cat’s poo is no one’s idea of fun, it does pay to keep track of her toileting habits. If she seems to go more often, or not as often as she once used to, or if there’s a change in the consistency of her poos that lasts more than two or three days, speak to your vet straight away. There are many different types of litter boxes: open, closed, round, rectangular, square, corner, self-cleaning, small – extra large, deep, shallow… the list goes on. We personally love these various options for litter boxes from VALEMOUNT TRADING. There is another query we have had recently that we never actually thought about before. If we insist on feeding our cats on stainless steel or ceramic bowls to prevent bacteria spread on plastic, why are we using plastic litter boxes? Perhaps it’s time we looked into stainless steel options that are more hygienic for our cats and are easier to clean. There are many different types of litter: gravel, clumping, maize-based, organic, wood pellets, sand, silicone crystal… the list goes on and on and on. Finding the right litter for your cat may be more of a trial and error experience than we originally thought. Your cat’s litter box problems may not stem from the box, environmental upsets, stress or change of location at all! We have a kitten that refuses point blank to use anything other than sand gravel litter varieties. She refuses to use anything else and even with extensive crate training, much preferred to use her bedding than other types of litter. If you have exhausted all medical options for your cat’s litter box problems and need help with getting to the bottom of it, contact Sarah-Jane Farrell from www.sarahjanefarrell.com. Sarah-Jane Farrell is an animal wellness and communication guru, nervous system specialist and therapeutic coach who helps animals, and their human friends release their deepest traumas, allowing them to heal from and overcome chronic mental, physical, and emotional conditions. Sarah-Jane also has the ability to communicate with animals and helps people understand their pets’ psychological states and “feelings”, assisting in finding lost pets, body scanning for medical reasons and provide guidance and tools to assist with animal behaviour. Through her healing “Trust Process” innate to us, as both predator and prey, animals teach us how to be present. Animals show us the way to reconnect with our true nature where you have come from and where you need to go, with COMPASSION and SELF LOVE.